Schmosby let me know what it turns out like. It looks easy to make. Looks like rice milk and coconut milk are way easier than soya milk. You just put 1 part coconut flakes or cooked rice to 4 parts water and blend. Oat milk is straight forward too. I'll try all four and see what I like, seems crazy to pay £1 each now. ^ You make your own? I will be, assuming one tastes nice. Linda McCartney duck turned out really well, I have a bottle of hoison sauce, cooked it up, put that with it, stuck it in a wrap and it was like eating duck! God I miss the taste of duck. But glad I don't eat it anymore, I have a duck pond near me (think that was the local football clubs way of reducing guilt when they created about 6 blooming pitches) and they're so adorable, some will eat out of your hand. I want to pick them up and pet them so bad! But yeah like me if you miss the taste, McCartney duck, fried then put with hoison sauce. yummy! ^ was tempted to try that... gonna have to get some and some Chinese pancakes. Gonna have that for dinner on Wednesday! Just tried an oat milk latte and it was funkin deelish. ^ Yes, it tasted so much nicer than a milk, milk latte! I was very surprised - it was my first time trying oat milk. These are on offer at the moment half price at £1. 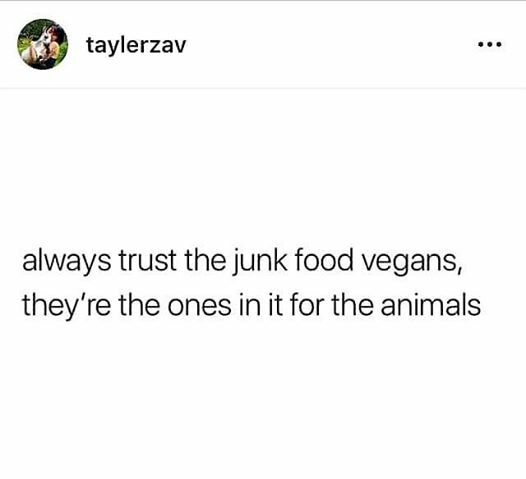 They are Vegan, so stock up if you like them. The Red Onion And Rosemary Sausages and 1/4 pounders are also £1. I've seen the offer in Morrisons and Tesco. ^ Those rosemary, red onion and time sausages taste like bum! I bought them by accident once. I think they made me cry. Out of curiosity I recently bought Gardein meatless meatballs. I usually prefer simple and natural ingredients, however I find these are acceptable. Three "meatballs" = a serving which is plenty to satisfy me, and they are very tasty. I looked them up when you posted. They are bloomin' expensive, I'll give them a whirl when they are on offer. Gonna have to try it, I suppose... :/ :/ haha. I've never even tried proper beef jerky for comparison. Not trying proper beef jerky is not even featured on my list of top 12343 regrets. I admit, I mostly went vegetarian/pescitarian mainly for the health benefits I saw. I find it a tad irritating at my workplace, non of the chefs are vegetarian and lots of times the veggie options include processed stuff like quorn mince pie, basically veggie food imitating meat food when it doesn't have to. I love the taste and texture of this simple meal, it's good with other stuff though as it isn't too filling. Further to my post above, I've bought another packet of Gardein meatless meatballs. Tried some Fry's Family Schnitzel. 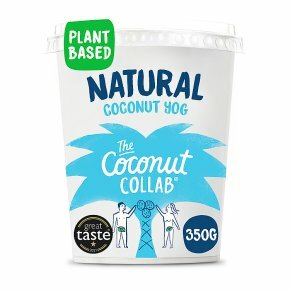 ^ I've found that the plain or unsweetened versions of dairy free yoghurt are best avoided! I tried one a while ago that was strawberry I think though and that was nice. ^ Tbh, I didn't mind it until the coconutty after-taste hit. I think I expected to taste more like a Bounty than just yucky coconut oil. But yeah, maybe something fruity would be better than plain. 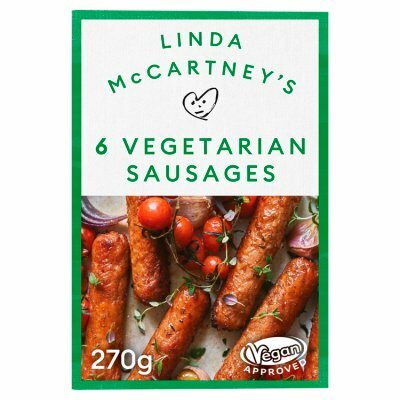 I thought they were nice and they are low in calories, as were the standard sausages and the quarter pounders were cracking. I'll stock up next time they are £1. ^ normal Linda's are laaahvly. They're so good as not-dogs with American Mustard and ketchup. And they're so nice with mash and cranberry sauce. Or as toad in the hole! If you must insist on liking those rosemary and onions ones, then you might like the sausage plait version of them. I was gutted when they changed those from plain sausage to the rosemary and onion ones. try quorn hot & spicy burgers from Asda. they are tasty.